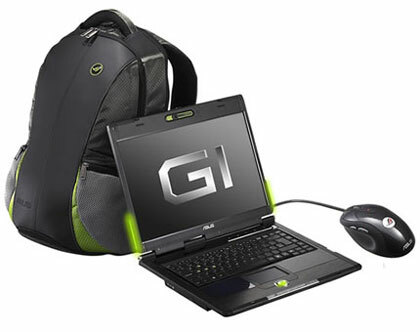 Asustek has launched it’s G1S gaming laptop with Intel Centrino Duo Mobile technology, which according to the company, will revolutionize the way games are played – with blistering speeds and true-to-life video and audio performance on-the-go. Asus’ Direct Messenger Information side display updates instant messages, system status, and reminder alerts while maintaining full screen game mode. The OLED window can also be customized to show personal messages and caller IDs by activating the Power4 Phone function. Gaming is made comfortable with the ergonomically designed keyboard, with W, A, S, and D keys specially marked with color squares to match the rest of the notebook color scheme. Asus Splendid Video Intelligence technology integrates different multimedia data sources to reduce noise and conversion rate for a vivid display.